Peter T. Wolczanski obtained his B.S. in Chemistry at the Massachusetts Institute of Technology in 1976. There he helped Prof. Mark S. Wrighton initiate studies on the photoelectrolysis of H2O with TiO2 and SrTiO3 photoelectrodes. Despite a mediocre GPA, his undergraduate research and some temperance led to matriculation at the California Institute of Technology, where he was a Fluor Fellow in Prof. John E. Bercaw’s group. Investigation of zirconium hydrides, and the reduction of CO and related molecules ensued, leading to his Ph.D. in 1981, and honors as a McKoy Award winner. After a 2 month postdoctoral stint with Dr. William P. Schaefer at Caltech, designed to permit participation in one last backpacking trip, he became an Assistant Professor at Cornell University. Professor Wolczanski’s research interests have included the synthesis and reactivity of early transition metal complexes with small molecules, such as dioxygen, carbon monoxide, carbon dioxide, methane, and hydrocarbons, and the generation of solid state and polymeric inorganic materials from molecular precursors. Studies continue to emphasize the reactivity of low coordinate molecules in bond activations, but new interests in metal-metal bonding, the consequences of aggregation, and the influences of electronic states on chemical reactivity have cropped up. He has recently begun to focus on generating strong field environments for 1st-row transition metals in an effort to broaden their scope as catalysts in a number of transformations. 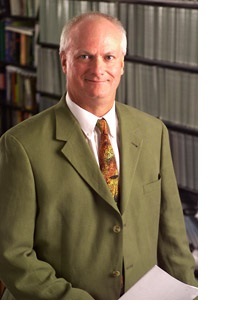 Professor Wolczanski is an Alfred P. Sloan Fellow, an American Academy of Arts & Sciences Fellow, and is currently the George W. & Grace L. Todd Professor of Chemistry at Cornell. He was the chair of the Organometallics Gordon Research Conference in 2002, and has served on the Organometallics and Inorganic Chemistry advisory boards. He married Elizabeth A. Wood in June of 1993, and lives with her, their 11.8 year old son Alex, and 9.7 year old daughter Grace in a wooded area, where they fight a never-ending battle against the evil forces of nature (i.e., deer & weeds). Occasionally he escapes to the golf course, thereby inducing further stress in this ulterior quest for perfection. Usually this is followed by an attack on his wine cellar in order to lower his score. In the winter he can often be found on the ice, wheezing and attempting to perfect his slap shot while supposedly coaching his children.